When executing PowerShell against Azure, Octopus Deploy will automatically import the Azure PowerShell modules and Azure PowerShell CLI, and finally will also authenticate with Azure using the configured Azure Account. 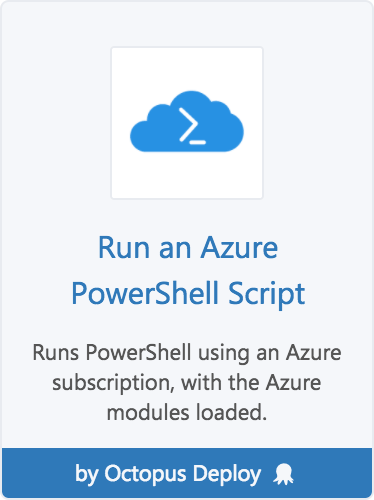 'Run an Azure PowerShell Script' steps. Scripts packaged or configured with Deploying a package to an Azure Cloud Service or Azure Web App steps. To use the Azure Service Management (ASM) API, use an Azure Management Certificate Account. To use the Azure Resource Management (ARM) API, use an Azure Service Principal Account. (The ARM PowerShell cmdlets are prefixed with AzureRM, like Get-AzureRMWebApp). Learn more about configuring the right Azure Account. 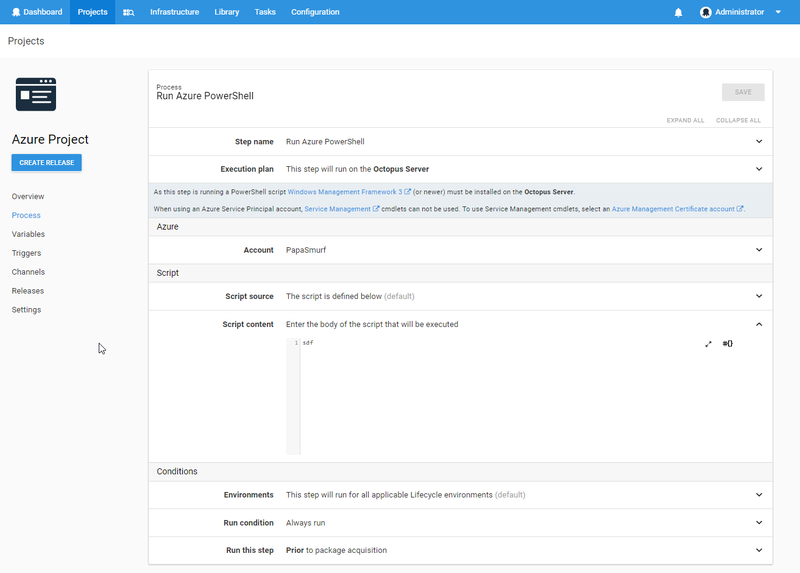 Octopus Deploy provides a Run an Azure PowerShell Script step type, for executing PowerShell in the context of an Azure Subscription. For information about adding a step to the deployment process, see the add step section. Octopus Deploy ships with a version of the Azure PowerShell Modules and Azure PowerShell CLI so you can deploy applications as soon as you install Octopus Deploy. Microsoft Azure is changing very quickly, introducing more application services and PowerShell commands frequently. You can use the built-in cmdlets or/and CLI if they cover everything you need, or you can configure Octopus Deploy to use your own custom version of the Azure PowerShell cmdlets and/or custom version of the Azure PowerShell CLI.